With it's unique geometrical design, the By-Pass Lopper 7116 offers fast aggressive cutting of material up to 30mm diameter. 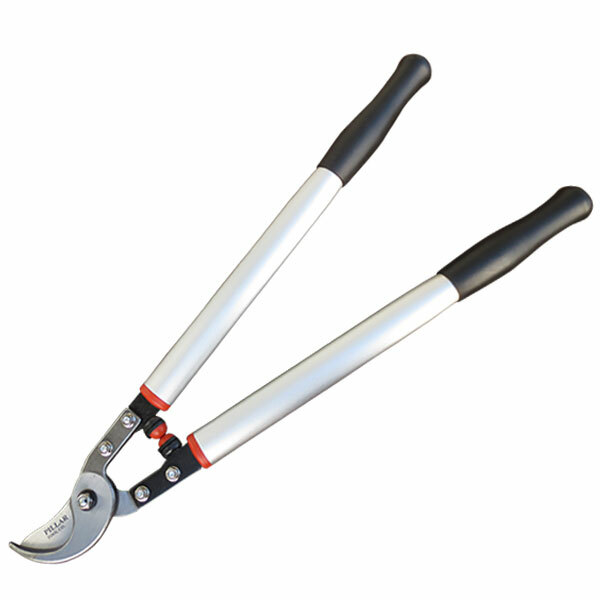 Brutally strong, lightweight and progressive single-cutting action ByPass Lopper. Great for the professional user or any other general purpose lopping requirements. 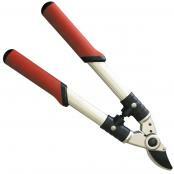 600mm – ideal for all aspects of grapevine lopping. 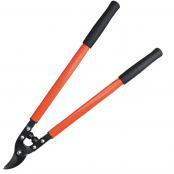 750mm – ideal for kiwifruit vine lopping. Upper Blade Precision ground SK5 steel. Lower Blade Drop forged high-carbon S50C steel, with resin groove. 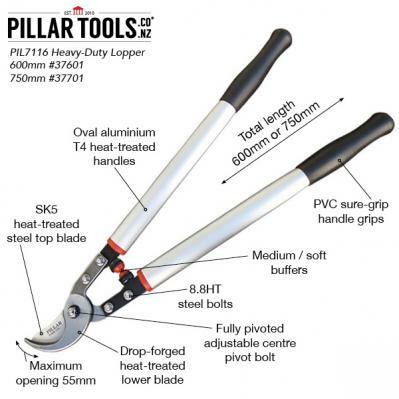 Overall Length Options 600mm / 750mm. Opening and Cutting 55mm; 30mm material. 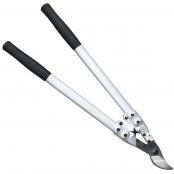 Body/ Handles Oval tubular heat treated aluminium alloy with comfort grips. Medium/soft buffers to reduce elbow shock injury. Spare Parts Available top blade, pivot bolt assembly, buffers, blade bolt set.